Ultra-high pressure (UHP) air is a specialised form of compressed air typically used in marine and military applications. 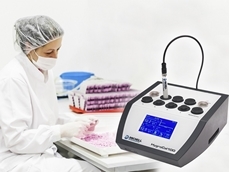 AMS has introduced a new portable humidity validator from Michell Instruments designed for the validation of humidity probes in an affordable way. 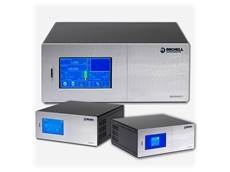 AMS Instrumentation and Calibration presents the S8000 chilled mirror hygrometers from Michell Instruments. 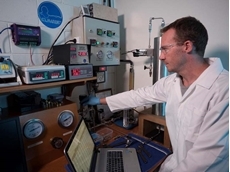 The S8000 hygrometer’s ability to detect very small changes in moisture condensed on the chilled mirror surface is due to RRS, a sophisticated technique that guarantees both high sensitivity and fast response when measuring low dew points. Delivering accuracy at very low temperatures (below -80°C dp), the S8000 is also one of the smallest and lightest chilled mirror instruments on the market with the ability to quickly measure dry dew points while offering an accuracy of ±0.1°C. 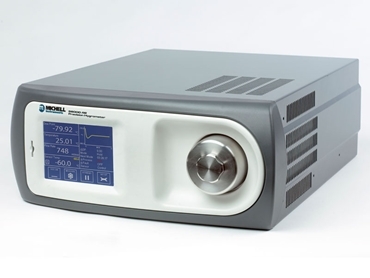 Capable of measuring low dew points without requiring external cooling, the S8000 chilled mirror hygrometers feature a compact size, making them convenient for use as a benchtop instrument or installed in a 19” rack system. Key benefits of the S8000 chilled mirror hygrometers also include a highly intuitive touch-screen interface for ease of use; ability to precisely measure trace moisture allowing use as an ideal reference instrument for moisture calibrations; and fast response and high accuracy verifying the purity of industrial gases and ensuring the quality of semiconductor gas supply. 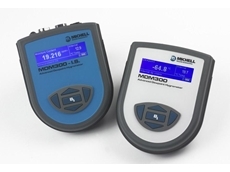 Similar to all Michell chilled mirror hygrometers, the S8000 is available with UKAS (ISO17025) accredited calibration, traceable to NIST.